FabScraps has a wonderful and most unique product idea. 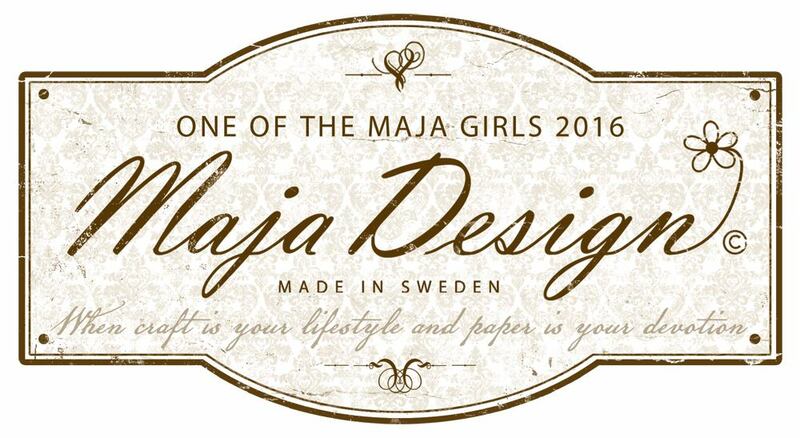 When they issue a new collection, they also release coordinating chipboard pieces. As if that is not cool enough, FabScraps also creates matching die cuts for the chipboard pieces. In case you were wondering how I managed to get this wonderful dress form to be so perfectly covered. Thank heaven I did not have to fussy cut this! FabScraps has done the fussy cutting for me. THANK YOU! I have added some detailed instructions to the bottom of this post. 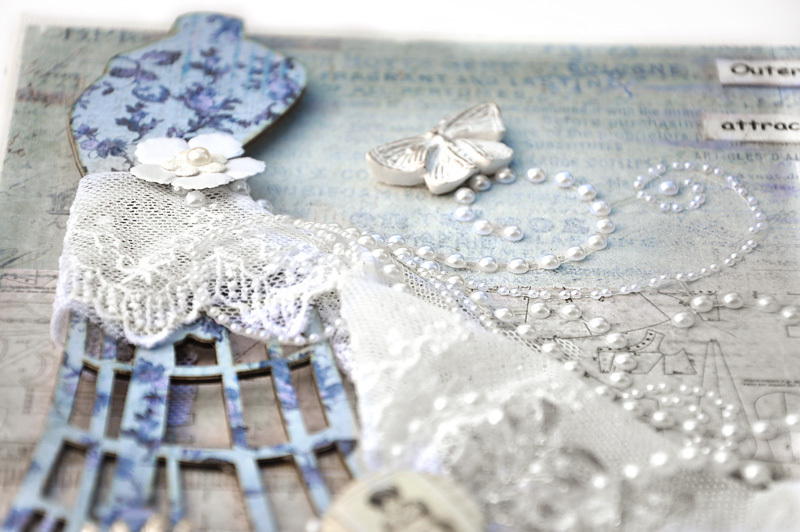 The dress from chipboard has an elegant feel to it so I chose to make my project lacy and elegant and very feminine: lace, string pearls, flowers, Prima pearl flourishes - the works. I added the words very simply by printing them on card stock and adhering them to the canvas using a matte gel medium. I find the matte gel medium holds the paper on the canvas and does not allow the edges of the paper to roll and curve. Thank you for stopping. 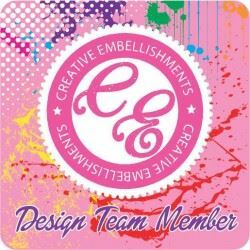 You can LIKE FabScraps on Facebook and stay in touch with the newest collctions. 3. Using a whitewash made form gesso or thinned white acrylic paint and a sponge, cover the FabScraps C68006 paper completely with a little heavier concentration on the center – to lighten the paper. 4. 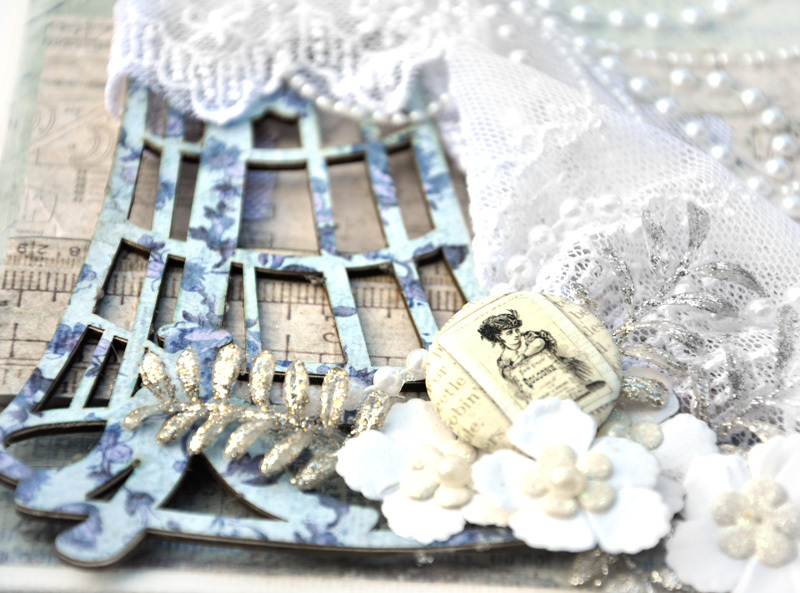 Choose piece from FabScraps - Oh Sew Beautiful – Journal Set Dies MC68001A that looks like rulers or measuring tapes. Cut one of the rulers out and back it with cardboard or foam dimension tape. Glue remaining piece to the canvas starting at the center. Then glue the dimensional ruler to the bottom of the the page. This adds interest to the canvas by introducing more dimension. 6. 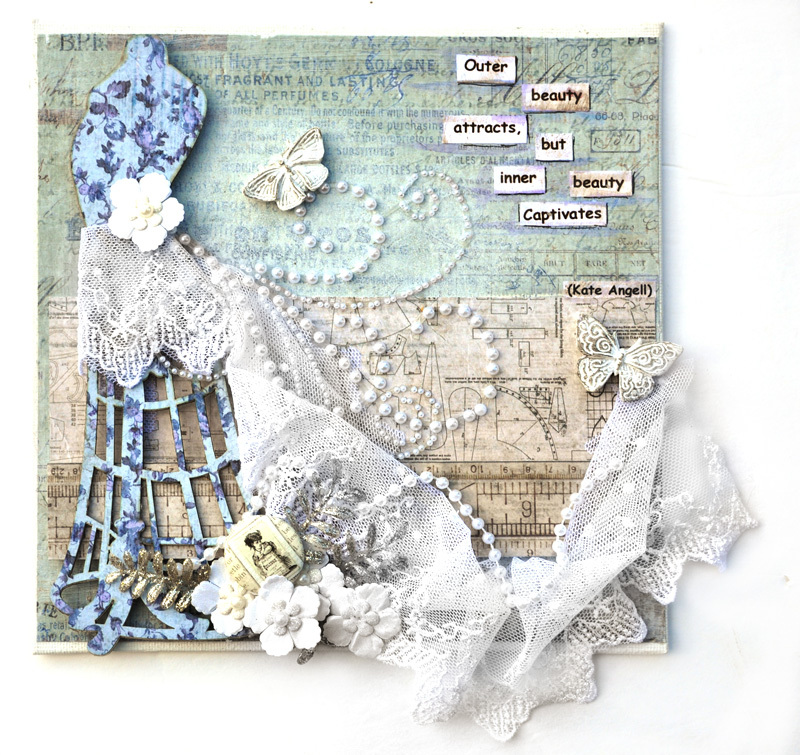 Cut FabScraps Oh Sew Beautiful – Mannequin Chipboard DC68013 – select the larger chipboard mannequin and cover with your choice of coordinating die cut from the FabScraps Oh Sew Beautiful Journal Set MC68001A. 7. Drape wide lace trim around the dress form and let loosely flow down and around the canvas, securing with glue here and there. 9. 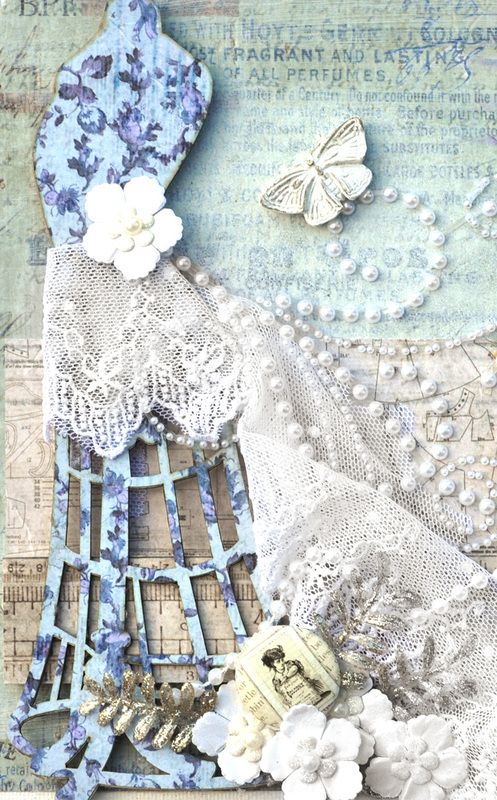 Add pearl flourish to the canvas, draping slightly over the dress form and the lace. 10. I also added some string pearls to the bottom of the canvas, draped around the lace. 12. Complete with flowers, buttons, brads, flair buttons, and leaves as desired. Ever consider automating your free BTC collections with a BTC FAUCET ROTATOR?